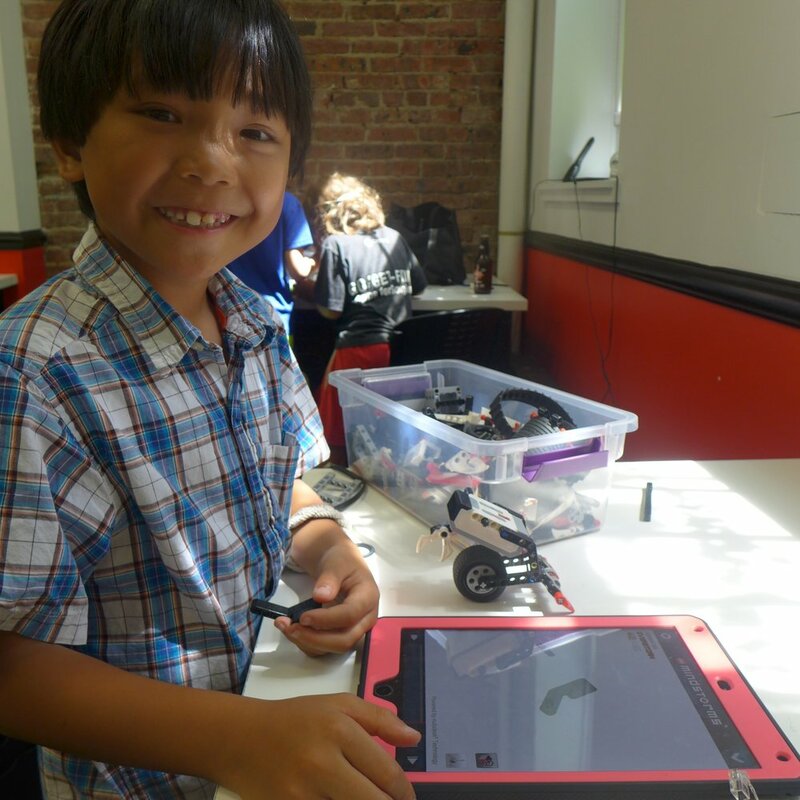 Founded in 2012, BK Bots is a homegrown Park Slope-based robotics and programming school for kids from grades two through twelve. Founder and lead instructor Sean Spillane is both an educator and mechanical engineer who designed each class to integrate the core tenets of STEM education with hands-on activities for a fun, educational curriculum. BK Bots offers classes in Lego Robotics, Computer Programming and Advanced Engineering. Our Lego Robotics classes are for students between 2nd – 8th grades. Students work in teams of two. Using Lego Mindstorms EV3 robotics kits, students build several different robots and complete a series of challenges. Classes are capped at 14 students and are taught by a lead instructor and 2-4 assistants. We provide all materials including iPads and Mindstorms kits. Classes are offered during the school year as either a 6-week half session or 12-week full session after-school class. During the summer, we offer weeklong day camps from 9am – 2pm. Computers, software and Arduino kits are provided.